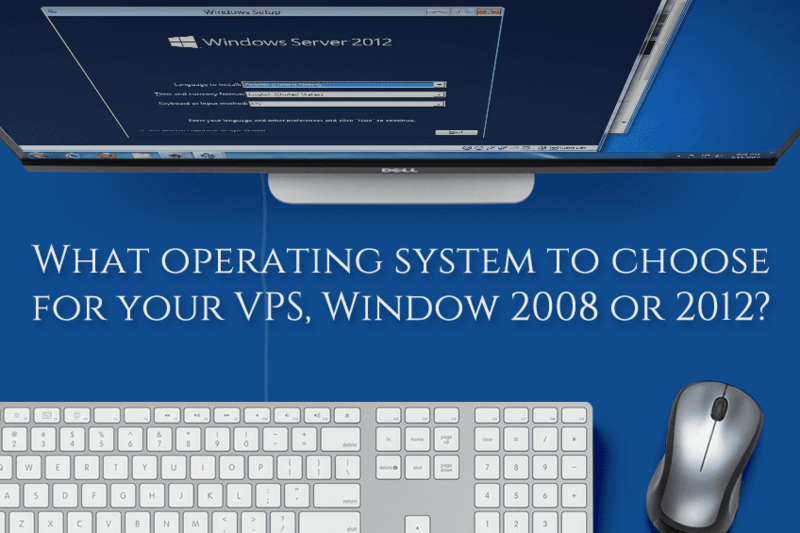 What Operating System to Choose for your VPS, Window 2008 or 2012? MetaTrader 4, also known as MT4 (get free forex vps), is a platform where foreign exchange agents transact online. It comes with two parts, one that is operated by the trader and another that the client uses to make their own trades on the stock exchange. Brokers have a Virtual Private Server (VPS) that they use to manage the MT4 application so that clients do not have any problems placing their orders or keeping tabs on their investments. For the application to run smoothly, it requires an operating system. There are quite a few options to choose from that affect the running of the application in different ways. There is a newer version of the application, MetaTrader5, but a large number of traders still rely on MT4 to do the job for them. There are a wide variety of operating systems that are available on the market for the convenience of technology experts and lay people alike. They all have their strong points, but some work better than others when you are using MetaTrader4. This application was created to work with a Windows operating system. This means that it really is not compatible with any of the other operating systems like Mac or Linux, no MT4 version was made for them. There are ways around this hurdle if push really comes to shove. With Linux, for example, you can use a software called Wine to run MT4 and make it work. It is not very stable though and this will negatively affect the performance of MT4. Some parts of the programme may underperform or they may not work at all. One critical issue is that users may not be able to access the stock market, which then defeats the whole purpose of using MetaTrader4. So which operating systems work best for MT4? As has already been established, MetaTrader4 was made to work with a Windows operating system. For the purposes of this article only Windows 2008 R2 Enterprise and Windows 2012 R2 Standard will be compared. They both run MT4 well, and so the question becomes which one of them provides a better user experience all in all. Microsoft releases operating systems practically every year. Each one has some improvements over the one that came before. Windows 2012 R2 Standard is the version that was released after 2008 R2 Enterprise. Due to the fact that it is newer, 2012 R2 Standard will get better performance out of the MT4 application. In the event that there are any glitches that need fixing, the 2012 version has mainstream technical support that the 2008 version no longer has. What mainstream support means is that if there are any changes that are required in the operating system they could be made, as well as various upgrades and security modifications. Windows 2008 R2 Enterprise is no longer eligible for this mainstream support. Essentially that means that should there be any issues with running applications like MT4, any help that a client receives will have to be paid for. There are also no more upgrades that are available any longer for this operating system which means that if a loophole by hackers or malware is found it will not be resolved by way of a system upgrade. Another issue is that this technical support that customers have to pay for, also known as extended support, will be terminated for Windows 2008 R2 Enterprise in the year 2020. In light of this it is evident that the security that this operating system offers for the use of applications that handle sensitive data such as MetaTrader4 is not long term. Windows 2012 R2 Standard, however, is still in its prime and will receive mainstream support for a decade. This means that should there be a glitch with the way that MT4 works on it, then customer care will help to come up with a resolution for free. Though MT4 was designed to work optimally with both Windows 2008 R2 Enterprise and Windows 2012 R2 Standard, the latter offers a client better usage. Virtual private servers are made to allow the use of several accounts at once and 2012 R2 Standard can better support this load while still offering high performance. The evidence speaks for itself. 2012 R2 Standard has 320 logical processors while 2008 R2 Enterprise has a relatively measly 64. The 2012 version has 32 times more disk capacity than the 2008 version and almost 3 times more active virtual machines. Whereas Windows 2008 R2 Enterprise has 1000 virtual machines, 2012 R2 Standard has a whopping 8000! MT4 thrives under these conditions. There is better information protection, which is invaluable when dealing with sensitive client information such as that which is processed by MT4 whenever it is used. In the event that it is necessary, 2012 offers better recovery options for lost data. There is more flexibility for the user with this server than there is with the 2008 version. Ultimately, when looking at both of these operating systems side by side, Windows 2012 R2 Standard is the better operating system to use when running MetaTrader4. Author adminPosted on February 20, 2017 May 14, 2018 Categories Operating SystemLeave a comment on What Operating System to Choose for your VPS, Window 2008 or 2012?